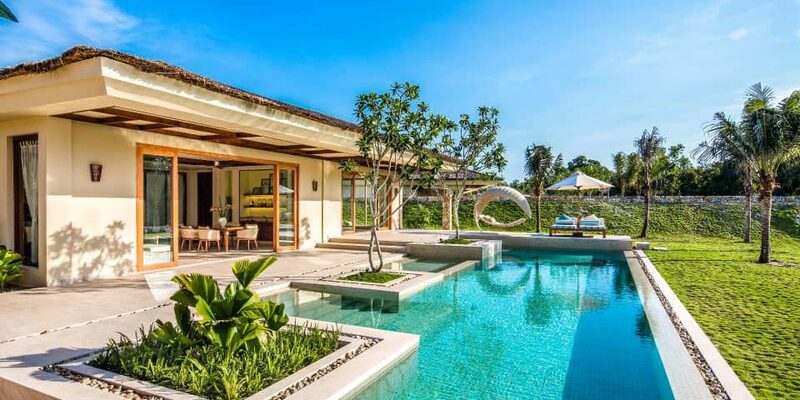 Eschewing the fuss and formalities of typical five-star resorts, wellness-inspired Fusion Resort Phu Quoc dares to be different in every way possible. With the guidance, support, and local knowledge of the friendly Fusionistas—the brand’s more down-to-earth alternative to butlers—envelop yourself in wall-to-wall complimentary spa treatments and wellness activities, plus eye-opening cultural excursions, daily fun and games, and the snooze-friendly “Breakfast Anywhere, Anytime” service. 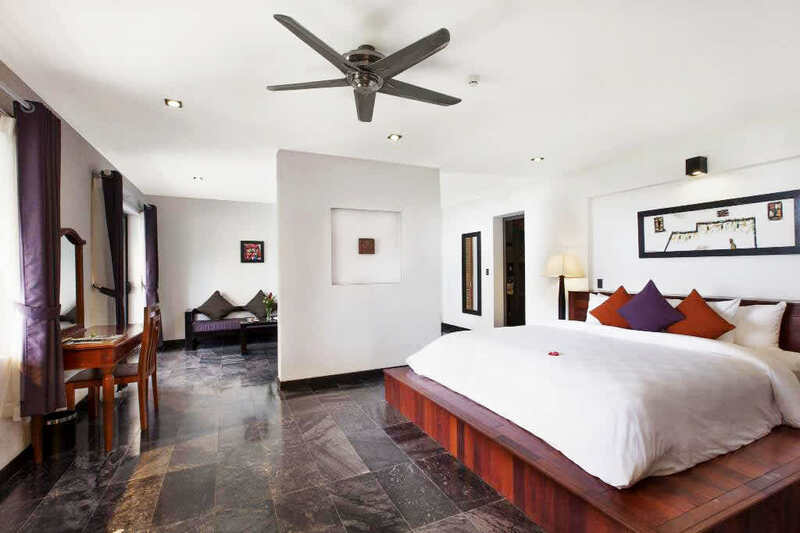 Private pool villas, sunken bathtubs, tropical gardens, and open-plan living only add to the laid-back “me-time” vibe. Vacations never felt so good. Ginger is a luxurious 5-star cruise sailing in the UNESCO World Heritage destinations of Lan Ha Bay. The cruise features only 12 spacious suites in three uniquely decorated room categories (Junior Suite, Signature Suite, and Regent Suite) and all have private balconies. 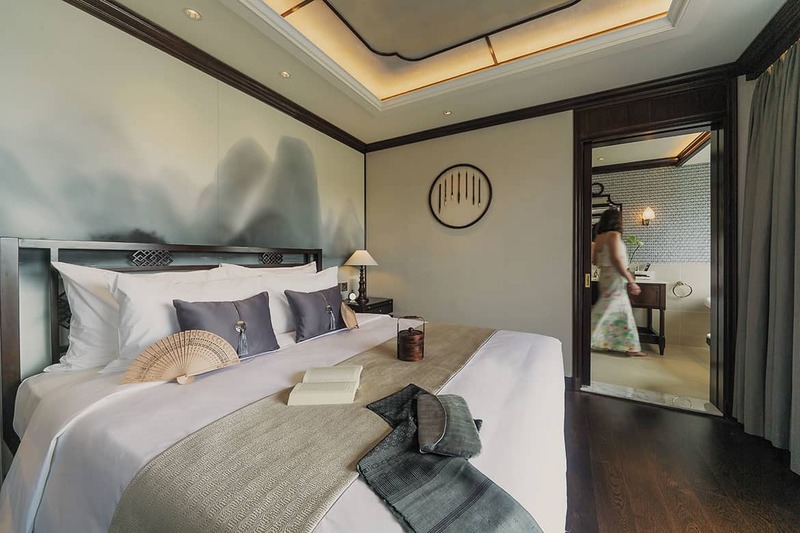 Ginger incorporates an enjoyable lifestyle theme and lavish facilities: a large spa with steam bath, a glass-surrounded restaurant with open kitchen for live cooking performances and a pool on the terrace deck offering 360-degree views of the scenery. This overnight cruise will make your trip a once in a life time experience sailing through this tranquil and surreal seascape. 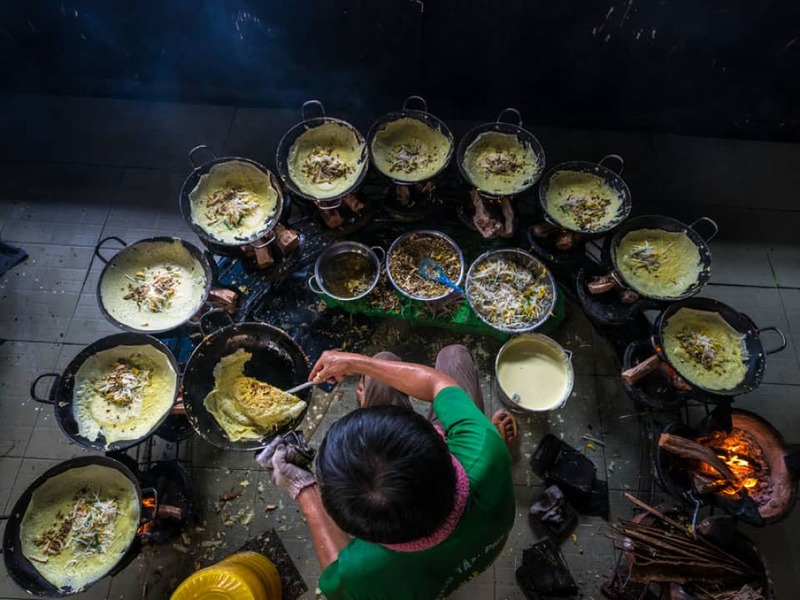 So enjoy the sun, the white sandy beaches, the sea and finally the delicious dinner prepared by an experienced chef. 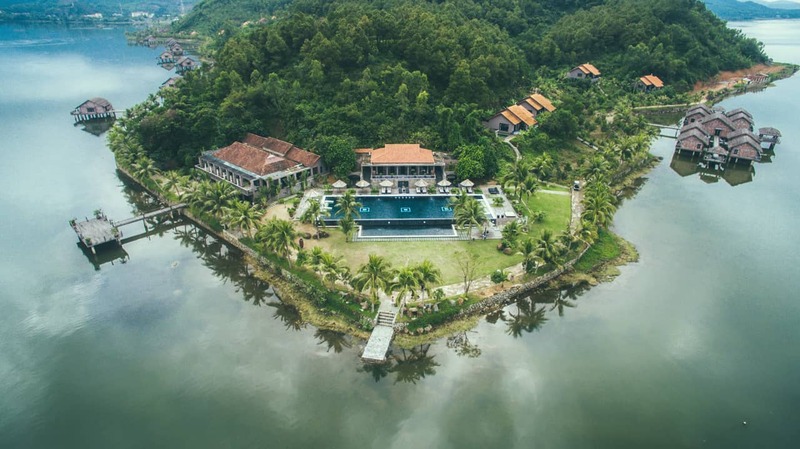 Vedana Lagoon is a 5 star resort located on the shore of one of the largest lagoons in South East Asia in between the city of Hue and the town of Hoi An. 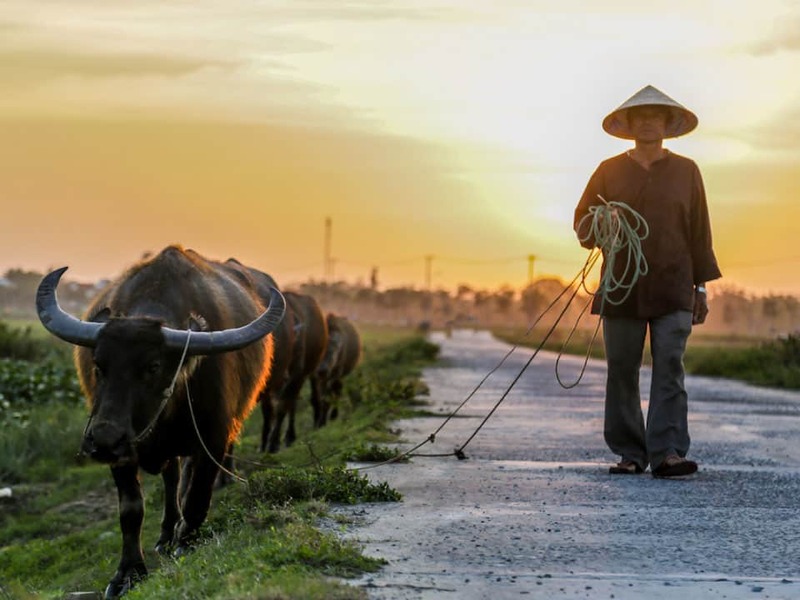 Set in a village just 30 minutes away from Hue airport this is a perfect escape for honeymooners, couples or families who want to spend some quiet time with loved ones. 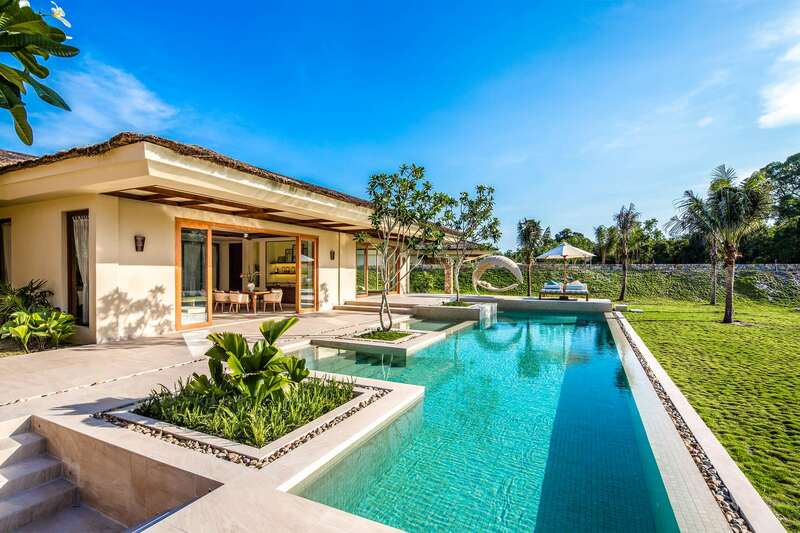 Set within 27 hectares of undulating and picturesque landscape, the 29 villas and bungalows each have their own private sundeck and balcony leading out onto the immense lagoon or into a private garden. The restaurant is a highlight with sunset and twilight dining experiences overlooking the tranquil lagoon both available. Tai Chi and Yoga classes with a Master are on offer every day. 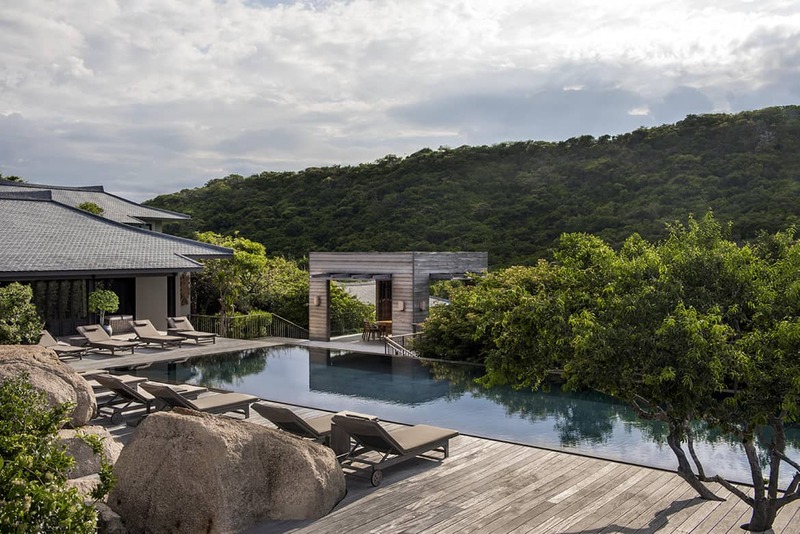 Amanoi is a five star luxury meditative retreat on the coast of Nui Chua National Park, Nha Trang – one of Vietnam’s largest natural conservation sites. Surrounded by evergreen covered hills and the pristine Vinh Hy Bay, Amanoi is truly a hidden gem for anyone looking for something different from the usual getaway. The resort features different types of Pavilions from Lake Pavilion to Ocean Pavillon; and Villas with up to five bedrooms. 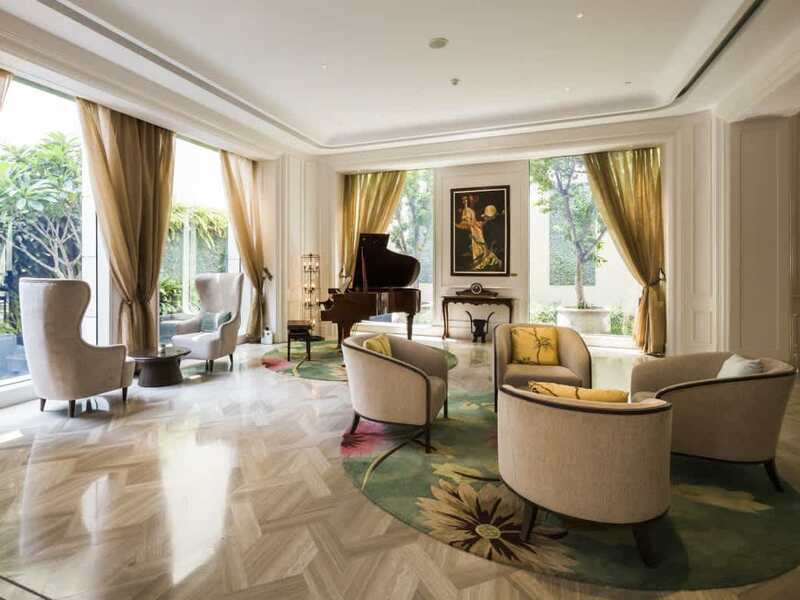 The architecture presents the grace and artful simplicity of Vietnamese design. All the rooms offer combined bedroom and living areas, and large bathrooms that open onto spacious decks, some with private pools As it is a meditative retreat in the jungle, Amanoi offers great wellness services and also a fine dining venue serving the catch of the day, fresh from Vinh Hy Bay. Chic Indochina style this 5* Hotel will offer you the distinguished service for you to feel at home while away from home. The Hotel is situated a minute away from the diplomatic area and a minute away from the Notre Dame Cathedral.